Zen – into the depths of humankind. We want to select this page to the honor of a great culture. 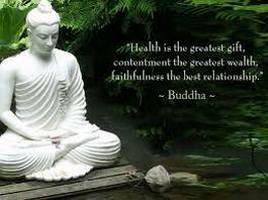 This form of Buddhism is the most peaceful unification of mind and universe on our planet. Suzuki Otsuka (1870-1966) was the world’s Zen authority, a famous Japanese Zen researcher, and thinker. He has served as a lecturer at Imperial University of Tokyo, a professor at the Otani University, and a visiting professor at Columbia University. In the Kamakura Yuanjue Temple, Suzuki began to learn Zen from the famous Master Jin Hongbeichuan. He translated the Buddhist classics and the Japanese translation of Western philosophy and theological works into English. While working on the translations his familiarity with Western modern philosophy and psychology assisted him greatly in accomplishing the task. His lectures in the United States and European countries are of great signifigance to the Buddhist movement today. In his later years, he went to China to conduct a field trip to Buddhism. In his lifetime, he also wrote a book about Hongfu. He also wrote a large number of books in English, which caused a strong reaction in the Western thought circles. The research also includes Buddhist beliefs such as Huayan and Pure Land. 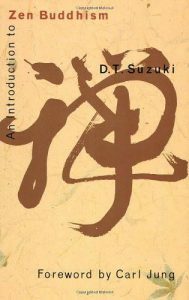 On his 100th birthday in 1970, Japan edited and published a total of 32 volumes of the Complete Works of Suzuki. Because of his promotion efforts, the Western world began to have an interest in Oriental Buddhism, and it also stimulated the Orientals’ renewed interest in Buddhism. His most significant contribution to the religion is to edit and translate many works, and to link this form of buddhism with science and mysticism thus arousing the general interest of it in the Western world.